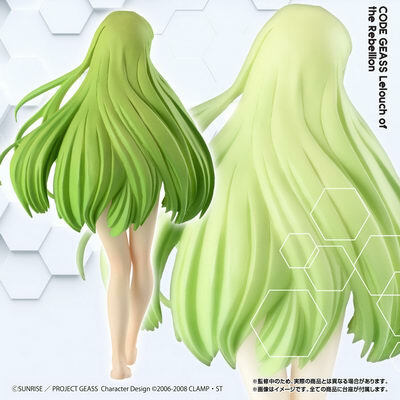 December 30th, 2017 By: GGT Category: 2018/03 release, Figure News. 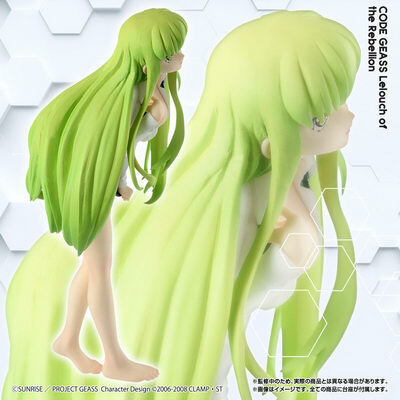 Bandai is going to release the HG Girls (High Grade Real figure Girls) C.C. ( シーツー ) gashapon from the anime “Code Geass: Lelouch of the Rebellion R2” ( コードギアス 反逆のルルーシュ R2). Will be released in March 2018. Around 120mm tall, 1,944 yen (taxed in). Premium Bandai exclusive. Just like the HG series, Bandai categorized this new HG Girls as "Gashapon". For those of you who want to get this HG Girls C.C., you can pre-order her at Premium Bandai HERE before January 15, 2018 with your proxy service.